Kroger's #TasteofItaly Recipe: Sausage Spiedini Skewers | The Food Hussy! Kroger has their Taste of Italy event going on for another week so there's still time for you to take advantage of the great products and great deals! They have some great Free with Purchase deals going on right now - one I grabbed was buying their Italian Sausage and getting pasta free! This isn't the pasta they specified but because they were out of that one - the store was super friendly and willing to sub in another of their specials. The folks at Kroger also sent their team to Italy to choose the products and bring authentic Italy to the streets of Cincinnati. One of the products they chose was the Tiramisu! It even came with a spoon! It actually tasted pretty good - not as good as fresh - but it was fine. I had to try it for $2! But back to my dinner - I took the "buy this - get that"to the kitchen and made Sausage Spiedini Skewers from the #tasteofitaly website and went to town! 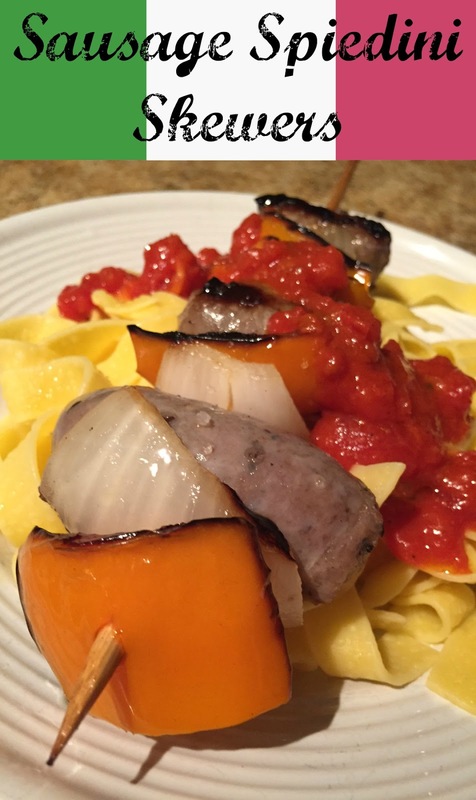 Thread meat, peppers and onions onto wooden skewers. 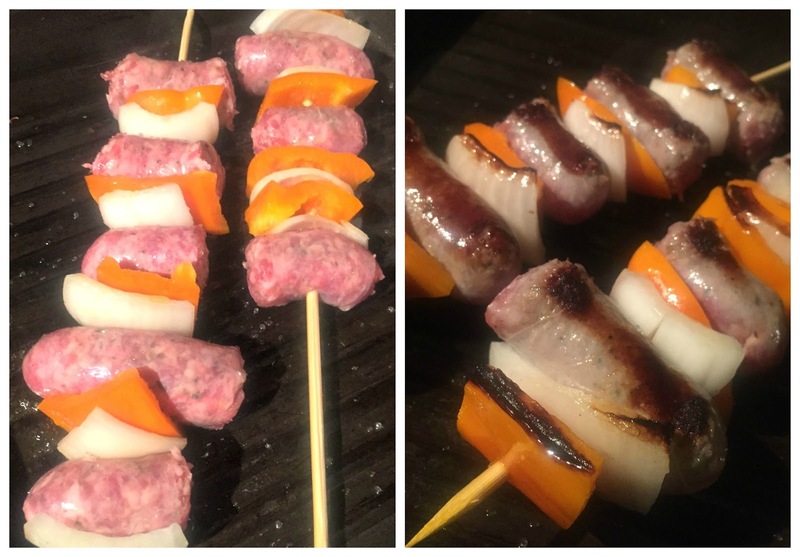 Using grill or grill pan, cook skewers for about 7 minutes per side. Once sausage is cooked through, remove from heat (ensure internal temperature reaches 165° F). Serve sprinkled with fresh parsley and warmed tomato basil sauce. Thanks to Kroger for inviting us to try all their authentic Taste of Italy items!